Pontedera, 03 May 2017 – At a meeting today chaired by Roberto Colaninno, the Board of Directors of Piaggio & C. S.p.A. examined and approved the interim report on operations for the quarter to 31 March 2017. In the first quarter of 2017 the Piaggio Group reported a positive performance compared with the year-earlier period, with improvements in all the main indicators and a reduction in debt. Group consolidated net sales in the first quarter of 2017 totalled 309.1 million euro, an improvement of 0.7% from 307.1 million euro at 31 March 2016. The industrial gross margin at 31 March 2017 was 95.1 million euro, up by 4.7% from 90.8 million euro in the year-earlier period. 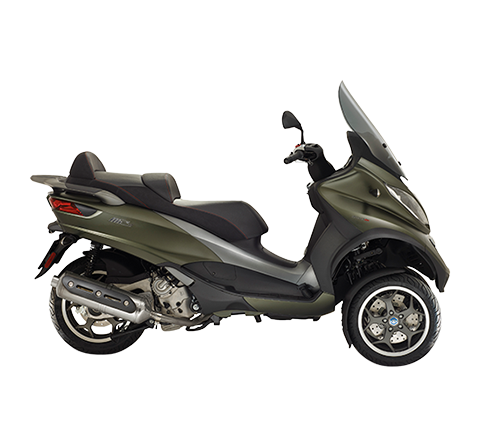 The return on net sales was 30.8%, an increase of 1.2 percentage points from the year-earlier period, the best first-quarter result reported since Piaggio was admitted for trading on the Italian stock exchange. Operating expense sustained in the first quarter of 2017 amounted to 84.2 million euro, a slight rise (+4.2 million euro) from the year-earlier figure, generated largely by the increase in amortisation and depreciation (21.3 million euro, from 17.5 million euro in the first quarter of 2016). The income-statement figures described above produced consolidated Ebitda of 41.2 million euro, the best first-quarter figure since 2008, with an increase of 10.2% (+10.4% at constant exchange rates) from 37.4 million euro in the first quarter to 31 March 2016. The Ebitda margin was 13.3%, the best first-quarter result reported since Piaggio was admitted for trading on the Italian stock exchange (12.2% at 31 March 2016). Ebit in the first quarter of 2017 was 10.9 million euro, in line with the year-earlier period (10.9 million euro). The EBIT margin was 3.5% (3.5% also at 31 March 2016). For the first quarter of 2017, the Piaggio Group posted profit before tax of 2.5 million euro, up 17.9% compared with 2.1 million euro in the first quarter of 2016. Income tax for the period was 1 million euro, with an impact on pre-tax profit of 40%. The Piaggio Group closed the first quarter of 2017 with net profit of 1.5 million euro, an increase of 17.9% compared with 1.3 million euro in the first quarter of 2016. Net financial debt at 31 March 2017 stood at 532.4 million euro, an improvement of 22 million euro from 554.4 million euro at 31 March 2016. At 31 December 2016 net financial debt was 491 million euro, lower than at the end of the first quarter of 2017 due to the typical seasonal nature of the two-wheeler business, which absorbs financial resources in the first half of the year and generates them in the second half. Group shareholders' equity at 31 March 2017 was 398.7 million euro, an increase of 5 million euro from 31 December 2016. Piaggio Group capital expenditure in the first quarter of 2017 amounted to 18.3 million euro (26.2 million euro in the year-earlier period), of which 11.2 million euro for R&D expenditure (12.8 million euro in Q1 2016) and approximately 7.1 million euro for property, plant and equipment, investment property and intangible assets (approximately 13.4 million euro in Q1 2016). The total workforce of the Piaggio Group at 31 March 2017 numbered 6,470 employees. The Group’s Italian employees numbered 3,509, unchanged from the end of 2016. In the first three months of 2017, the Piaggio Group sold 121,200 vehicles worldwide, in line with 121,700 in the year-earlier period. At geographical level, sales generated revenue growth in the EMEA and the Americas areas (+3.9%), which more than counterbalanced the decreases reported in India (-3.3% largely due to slower sales of commercial vehicles as a result of the Indian Government's demonetisation policy) and in Asia Pacific (-6.1%). 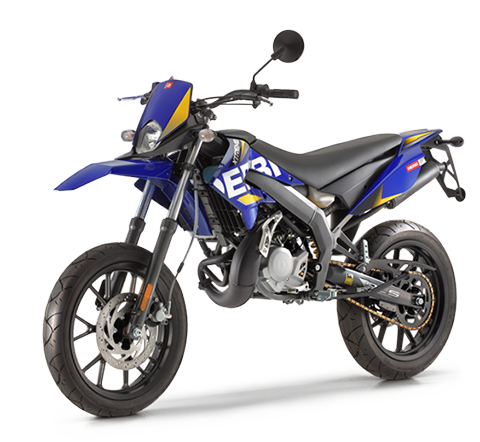 In the first quarter of 2017, the Group sold 82,500 two-wheelers worldwide (up 10.3% from 74,800 in the year-earlier period), generating net sales of 218.9 million euro, an improvement of 5.2% from 208.2 million euro in the first quarter of 2016. The figure includes spares and accessories, on which turnover totalled 29.7 million euro, an increase of 4.6% from the year-earlier period. In the first quarter of 2017 the Piaggio Group continued to strengthen its presence on the European two-wheeler market, with an overall market share of 14.2% (13.6% in the first quarter of 2016), and 26.4% (24.5% in the year-earlier period) in the scooter sector alone, with a lead of almost 10 percentage points from the second competitor. 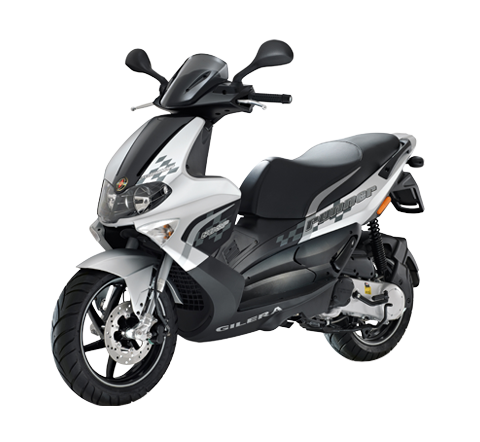 On the Indian two-wheeler market, the Group more than doubled its sales volumes, thanks to the introduction of the new Aprilia SR 150 scooter, which has been very warmly received. Analysing performance in Asia Pacific, Vietnam reported a decline in scooter sales volumes, while the Group expanded its offer in Thailand through its recent entry on to the motorcycle market with the introduction of the Aprilia and Moto Guzzi brands, flanking the already well-established scooter offer with the Vespa and Piaggio brands. 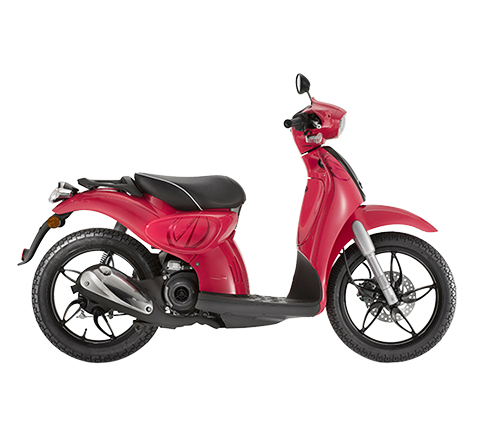 The Group maintained a particularly strong presence on the North American scooter market, with a share of 21.6%; it is also committed to strengthening its position in motorcycles in North America. Highlights in the scooter sector included the excellent results of the Vespa brand, which boosted worldwide sales by 8.5% from the first quarter of 2016, and notably strengthened its presence on the EMEA market, with net sales growth of 18.5%. Performance was also positive in high-wheel scooters, where the Group reported revenue growth at global level, largely thanks to the Beverly and the new Liberty. Still in the scooter sector, the Aprilia brand also performed well, especially on the Indian market thanks to the Aprilia SR 150 sports scooter, which has been very well received, with significant growth in sales. 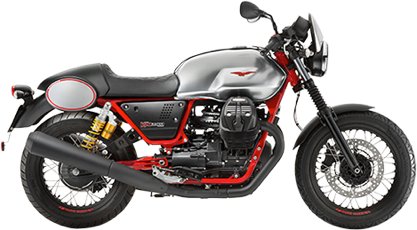 The Group also reported healthy performance in the motorcycle sector, thanks to a 7.1% increase in Moto Guzzi sales arising specifically from the new V9 Roamer and Bobber, the California range and the V7 line, which this year celebrated its 50th anniversary with an ad hoc model. Sales volumes also rose for Aprilia motorcycles, thanks specifically to the excellent response to the new super sports model RSV4 1000, which achieved an increase of more than 21% in part as a result of the strong return in terms of performance and image from Aprilia’s participation in the world MotoGP championship. In the commercial vehicles sector, the Group sold 38,800 vehicles (47,000 in the first quarter of 2016) for net sales of 90.2 million euro (98.9 million euro in the quarter to 31 March 2016). The figure includes spares and accessories, where sales totalled 11.2 million euro (11.6 million euro at 31 March 2016). On the Indian market for three-wheel commercial vehicles, the PVPL subsidiary had an overall share of 30.9% and confirmed its leadership in the Cargo segment with a market share of 48.2%. An important growth program is being rolled out for commercial vehicles in 2017, beginning with the recent strengthening of the Group's presence in the high-potential markets of Latin America, Africa and Asia and the extension of the distribution network to 23 countries. In the first three months of 2017 the PVPL production hub also exported 3,419 three-wheel commercial vehicles worldwide. These sales arose in part in the EMEA and Americas areas and in part in the India area, in connection with responsibility for management of the individual markets. On 2 February, the GITA and KILO projects were presented in Boston, the first initiatives developed by Piaggio Fast Forward (PFF). GITA is a smart autonomous vehicle designed to assist people. It carries up to18 kg, observes and communicates. It can follow a person, reaching a speed of 35 km/h, and can move autonomously in a mapped environment. Its spherical shape and clean design are distinguishing characteristics of its personality. KILO is GITA’s “big brother”, with a 120 lt loading capacity for weights up to 100 kg. It offers outstanding stability, thanks to its three wheels. The two projects reflect the Group’s exploration of future-oriented developments in mobility and the broadening of its vision to technological solutions ranging way beyond its current core business. On 1 March, Simone Montanari became Piaggio Group CFO, replacing Gabriele Galli. 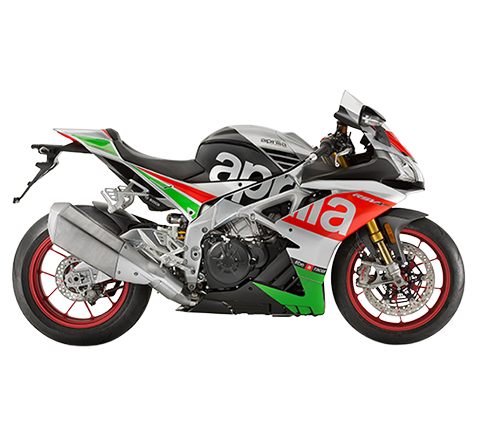 On 3 March, in the run-up to the 2017 World MotoGP season, the new Aprilia RS-GP 2017 bike in Italian colours was presented, together with the two new riders, Aleix Espargarò and Sam Lowes. The new bike, which is more powerful and technologically advanced than its predecessor, has already made progress in the first races of the season, with a consequential positive impact on brand visibility. On 15 March, the Piaggio Group announced that it had been awarded the contract put out to tender by the Environment & Mobility Department of Madrid City Council for the supply of 160 new Piaggio MP3 three-wheelers (500 and 300cc engines) for the municipal police. The award is a further demonstration of confidence in the Piaggio MP3, which recently celebrated its tenth anniversary and was chosen in preference to the other vehicles thanks to its superiority in terms of stability and safety, its performance, reliability, low fuel consumption and ease of use in traffic and in all weather conditions. On 23 March, the Piaggio Group celebrated its 130th anniversary with an event in Milan, which included the presentation of the limited numbered edition of the book FuturPiaggio – 6 lezioni italiane sulla mobilità e sulla vita moderna, written by Jeffrey Schnapp and published by Rizzoli, on the history and the future of the Group. On 30 March, the Piaggio Group announced that its Indian facility had begun production some months earlier of 2-, 3- and 4-wheel vehicles compliant with the new Bharat Stage IV emissions regulation, which came into effect on 1 April 2017, without risking any adverse effects in terms of production and sales. On 6 April, Michele Colaninno, a director of Piaggio & C. S.p.A. and Chairman of Piaggio Fast Forward, was appointed Vice President of ACEM (Association des Constructeurs Européens de Motocycles), the European motorcycle industry association in Brussels, of which all the world two-wheeler groups are members. 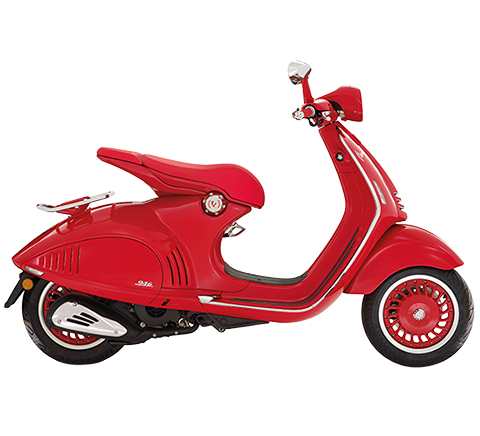 Also on 6 April, with a sentence that will go down in history, the Court of Turin declared the full validity of the three-dimensional trademark of the Vespa scooter and recognised the specific creative nature and artistic value of the shape that has characterised the scooter since it first went into production in 1946. On 21 April, the Piaggio Group made its debut appearance at Auto Shanghai 2017, one of Asia's most important automotive tradeshows, confirming its attention to the Chinese market consistently with its strategy to strengthen and re-organise its Asian operations. The Group also announced the appointment of Gianluca Fiume (previously Group VP for the European two-wheeler market) as the new President and General Manager of Piaggio Vietnam, with responsibility for all South-East Asian markets. At today’s meeting, the Piaggio & C. S.p.A. Board of Directors also authorised the issue of medium/long-term bonds for an overall nominal amount of 30 million euro, for private placement with institutional investors. The issue is intended to support the Group's international growth and to extend average debt maturity by restructuring exposure. The issue terms and conditions will be set after negotiations with the investors, close to the issue date2. In connection with the shareholder authorisation for the purchase and disposal of own shares given by the Piaggio AGM on 12 April 2017, the Board of Directors also approved the launch of a share buyback program, which represents a useful strategic investment opportunity for the purposes allowed under law, including the purposes contemplated in art. 5 of Regulation (EU) 596/2014 (Market Abuse Regulation, “MAR”), among which the purchase of own shares for subsequent cancellation, and in the practices allowed under art. 13 MAR. the buyback program may be implemented, in one or more tranches, through 12 October 2018. As of today, the company does not hold any own shares. The presentation of the financial results as at and for the quarter ended 31 March 2017, which will be illustrated during a conference call with financial analysts, is available on the corporate website at www.piaggiogroup.com/it/investor and on the “eMarket Storage” authorised storage mechanism on the website www.emarketstorage.com. The Piaggio Group consolidated income statement, consolidated statement of financial position and consolidated statement of cash flows as at and for the quarter ended 31 March 2017 are set out below. In line with the recommendations of CESR Communication 05-178b, attention is drawn to the fact that this press release contains a number of indicators that, though not yet contemplated by the IFRS (“Non-GAAP Measures”), are based on financial measures envisaged by the IFRS. These indicators – presented in order to assist assessment of the Group’s business performance – should not be considered as alternatives to those envisaged by the IFRS and are consistent with those in the Piaggio Group 2016 Annual Report and quarterly and half-year reports. Furthermore, since determination of such indicators is not specifically regulated by the IFRS, the methods used may not coincide with those adopted by other companies/groups, and consequently the indicators in question may not be comparable. In compliance with Consob Communication no. 9081707 of 16 September 2009, it should be noted that the alternative performance indicators (“Non-GAAP Measures”) have not been audited by the independent auditors. 2 - THIS NOTICE IS NOT INTENDED FOR DISTRIBUTION NOR FOR CIRCULATION IN THE UNITED STATES OF AMERICA, IN CANADA, AUSTRALIA OR JAPAN OR IN ANY OTHER COUNTRY IN WHICH THE ISSUE OF THE SECURITIES REFERRED TO HEREIN IS NOT PERMITTED ABSENT SPECIFIC AUTHORISATIONS BY THE AUTHORITIES AND/OR COMMUNICATION TO INVESTORS RESIDENT IN SUCH COUNTRIES. THIS NOTICE (INCLUDING THE INFORMATION CONTAINED HEREIN) DOES NOT CONSTITUTE NOR REPRESENT AN OFFER TO BUY THE BONDS INDICATED HEREIN OR AN OFFER TO SELL OR A SOLICITATION TO INVEST IN FINANCIAL PRODUCTS IN THE UNITED STATES OF AMERICA, IN CANADA, AUSTRALIA OR JAPAN, NOR IN ANY OTHER JURISDICTION IN WHICH SUCH OFFERS OR SOLICITATIONS ARE SUBJECT TO AUTHORISATION BY THE LOCAL AUTHORITIES OR IN ANY CASE FORBIDDEN BY LAW. THE SECURITIES REFERRED TO IN THIS NOTICE HAVE NOT BEEN AND WILL NOT BE REGISTERED UNDER THE UNITED STATES SECURITIES ACT OF 1933, AS AMENDED, OR UNDER ANY FINANCIAL REGULATION IN EACH STATE OF THE UNITED STATES OF AMERICA, AND MAY NOT BE OFFERED OR SOLD IN THE UNITED STATES OF AMERICA OR TO U.S. PERSONS, ABSENT REGISTRATION OR AN EXEMPTION FROM REGISTRATION. THIS NOTICE (INCLUDING THE INFORMATION CONTAINED HEREIN) DOES NOT CONSTITUTE AN OFFERING TO THE PUBLIC OF FINANCIAL PRODUCTS IN ITALY, PURSUANT TO ART. 1, PARAGRAPH 1, HEAD T), OF LAW NO. 58 OF 24 FEBRUARY 1998. THE OFFERING DOCUMENTATION HAS NOT BEEN AND WILL NOT BE PRESENTED FOR THE APPROVAL OF CONSOB. THE SECURITIES REFERRED IN THIS NOTICE, FURTHERMORE, MAY NOT BE SOLD IN ANY STATE OR JURISDICTION IN WHICH THE OFFERING OR SALE WOULD BE CONSIDERED ILLEGAL. NO ACTION HAS BEEN NOR WILL BE TAKEN IN ORDER TO ENABLE A PUBLIC OFFERING OF THE SECURITIES IN ANY JURISDICTION, INCLUDING ITALY.